What blessing is to be recited over a Tortilla wrap [i.e. Taco]? Corn/maize flour tortilla: If the Tortilla is made of corn/maize flour, and does not contain any of the five grain flours, then its blessing is Shehakol and requires Borei Nefashos, when eaten plain. When eaten as a Taco, with a Hadama/vegetable filling [no meat], then if one’s main intent of eating is on the vegetables, he states the blessing of the filling [Hadama] and exempts with it the blessing of the Tortilla. If however one’s main intent is on the Tortilla [such as if one has a very thin vegetable filling], then its blessing is Shehakol. If one’s main intent is on both the vegetables and the Taco, then one recites two blessings; Hadama on the vegetables, and after eating some of the vegetables, he recites a Hadama on the filling. If the Taco contains a meat, chicken, fish, or cheese filling, then its blessing remains Shehakol. Wheat flour tortilla: If the Tortilla contains wheat, or any of the other five grains, then its blessing is either Mezonos or Hamotzi, depending on how it is made. If the majority liquid that was used to knead the flour, is not water [i.e. one used a majority of oil, eggs, spices, and sugar], then it has the status of Mezonos bread. Likewise, if the mixture was spiced to the point that it is uncommon for people to set a meal on such bread, then it has the status as Mezonos bread, [even if it was kneeded with majority water]. 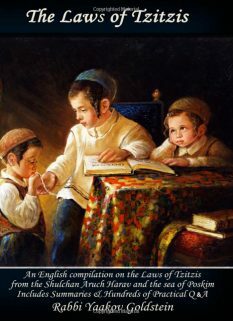 If, however, the majority liquid is water, and if it is not spiced to the point that people do not set a meal over it, then whether its blessing is Hamotzi and Birchas Hamazon is dependent on the thickness of the tortilla, and whether it is baked or fired, as explained in the footnote. Practically, a typical Tortilla recipe calls for majority water as its kneeding liquid, and does not contain a great amount of spices, and is baked thin. Accordingly, it should only be eaten within a meal of Hamotzi over a Kezayis of actual bread. If, however, it was made thick, and baked [not fried with a nice amount of oil] then one may say Hamotzi and Birchas Hamazon on the tortilla itself, as it is just like regular bread. Does one recite a blessing on the filling of a Mezonos Tortilla: If one’s tortilla is Mezonos, due to meeting the conditions explained above, then if one’s main intent of eating the Taco is also on the filling [which is usually the case] then one is to recite a blessing first on the Mezonos, eat some of it, and then say a blessing on the filling. 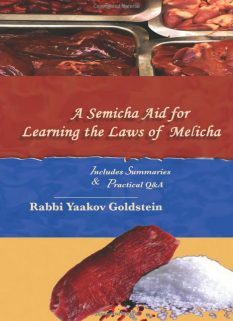 Thick versus thin: Thin breads [made of flour and water] are not commonly used to set a meal over, but rather for snacking, and therefore we find in the Talmud and Poskim discussion regarding various types of thin breads and their respective law; whether they are Mezonos or Hamotzi. There is a difference between a Terisa [very thin batter, and very thin baking], Truknin [very thin batter, but not very thin baking] and Lachmaniyos [thin batter, baked thin or thick], and they carry various cases and opinions. [See Seder 2:7; Admur 168:13] In this case, however, that Tortillas are commonly made by forming a regular dough, and only then is it baked thin, then seemingly according to all one is to say Hamotzi on the product, irrelevent of how thin it is. 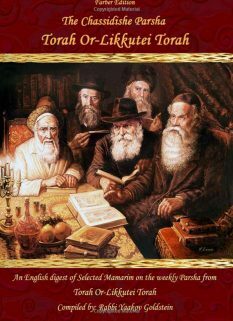 [Implication of Seder 2:5 and all Rishonim and Achronim who describe all the cases to have a thin batter, and not just baked thin; Implication of 1st opinion in Admur 168:15 and opinion in Michaber 168:13; Implication of Admur in Seder who omits case of Ugos Yiveishos; See Piskeiy Teshuvos 168:12] However, we find that the Poskim do not accept this differentiation and maintain that the same laws apply whether the batter is thin or thick, as the main point is regarding how thin the product is after it is baked, and whether people set a meal on it. 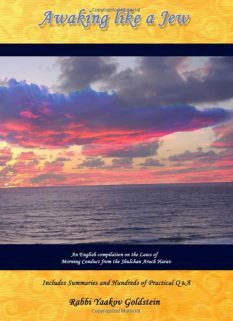 [Implication of 2nd opinion in Admur 168:15 regaridng frying and cooking dough that “everything follows the final product” and Michaber 168:13 [Admur in Seder 2:12 completely omits the 1st opinion who argues]; See M”A 168:40 in name of Shlah regarding Rekikin Dakin; See Admur 168:12 regarding Ugos Yiveishos; Aruch Hashulchan 168:30; Minchas Yitzchak 1:71-6; Teshuvos Vehanhagos 3:73; All Poskim who rule Matzah is Mezonos, which include Chida in Machazik Bracha 158:5; Yechaveh Daas 3:12; Or Letziyon 2:13-3] Accordingly, whether the Tortilla is Hamotzi or Mezonos will depend on whether it is baked very thin [Mezonos], thin [dispute-eat within meal], or thick [Hamotzi], just as is the law regarding Lachmaniyos. 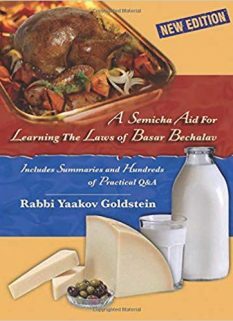 [See Piskeiy Teshuvos ibid] Practically, being this matter is inconclusive either way, one should only eat a Tortilla within a meal, unless it is thick, in which case it may have Hamotzi and Birchas Hamazon recited over it. If baked thin but not very thin then, this possibly follows the same law as Lachmaniyos [as explained in previous footnote] which is disputed when baked thin, but not very thin, if it is Mezonos or Hamotzi. 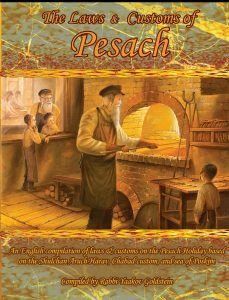 [Seder 2:6] Furthermore, even if baked very thin, it still unclear if it receives the law of a Lachmaniyos, or of actual bread [being it was made into actual dough] as explained in the previous footnote.